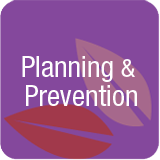 Planning and Prevention – Just as we don’t expect to age, we don’t plan to age. Unexpected events occur to our parents, to us the unexpected event results in an immediate need for action. What happens when parents live thousands of miles away? What happens when we’re single and have no one we can rely on to help us when we need care? Preventative measures related to our health and planning relating to our care offer the best opportunity for us to remain independent. How many of us will plan? How many of us will become an unexpected event and a care responsibility for a family member or loved one?